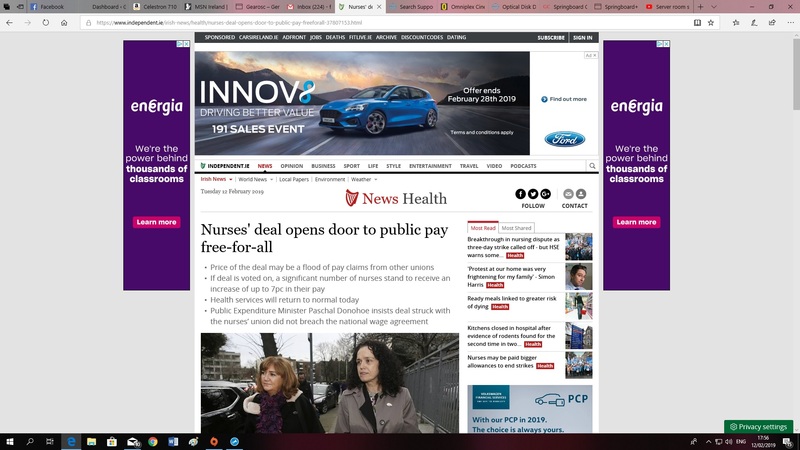 The health sector has not been quiet over the last few weeks, with nurses striking for more pay and better conditions and the news that the new National Children’s Hospital is way over budget. The meaning of “way over budget” is an understatement with the report that the builder alone has tacked on over €391 million in extra payments. These charges have been described as “cost overruns” (that’s newspeak for money disappearing through the floorboards or back-handers or whatever you want to call it .. like corruption or stealing money from taxpayers) by the Government and their media lackeys. My background is in farming but I would know a little bit about getting things done on a budget. Seemingly those in government know nothing about money management or know very little yet have been given the country to run. Those who ask for money for well-intentioned projects are always told there is no money there for them. There would want to be some explanation for these “cost over-runs !!!!!! !” as the price of building materials hasn’t gone up significantly neither has the wages of the builders so why are these enormous charges been added on ? Some explanation is required here. No one seems to be taking responsibility here. You would not be allowed to have these “cost over-runs” in the private sector so why are so many of these capital projects costing 3/4 times the price of work elsewhere. It seems that taxpayer’s money is meant to disappear somehow. Corrupt practises abound. Take the case of the “National Maternity Hospital” the government was going to gift over €300 million in a new hospital to the nuns till people kicked up about it. Wisely so. My view is that the new Children’s Hospital should be put out to tender again as a way of controlling “cost overruns“. As “over-runs” such as this are grounds for dismissal in any case (the builder in this case or the project management ). Maybe our health minster Simon Harris would stick to journalism. We need better politics and better people in politics perhaps someone who has experience in running a business. What’s running the show at the moment will not do. 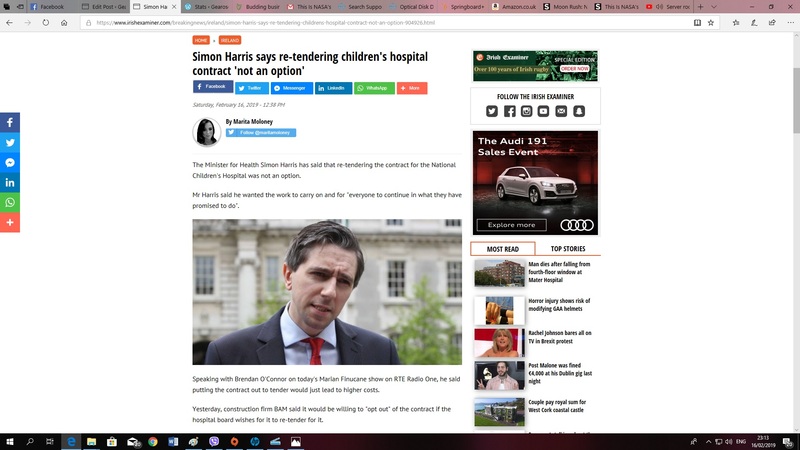 Author adminPosted on February 12, 2019 February 16, 2019 Categories Ireland economy, Ireland PoliticalTags "Cost Overruns" newspeak, National Children's Hospital, National maternity Hospital, Newspeak, rock breaking is extraLeave a comment on Nurse’s Strike, New Children’s Hospital & the Health Service.